It's been an awesome week of woodpeckers. There's no coincidence that Week of Woodpeckers makes the acronym WOW! It's been a wow week for us here at the homestead, who could be gently described as bird enthusiasts. 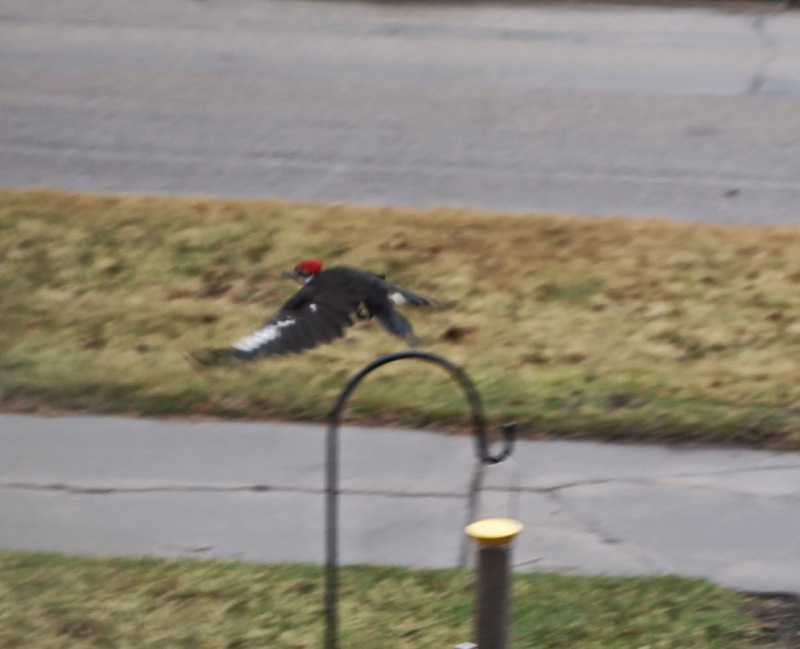 ...a second Pileated Woodpecker had been on the suet bird feeder the whole time! Whoa! 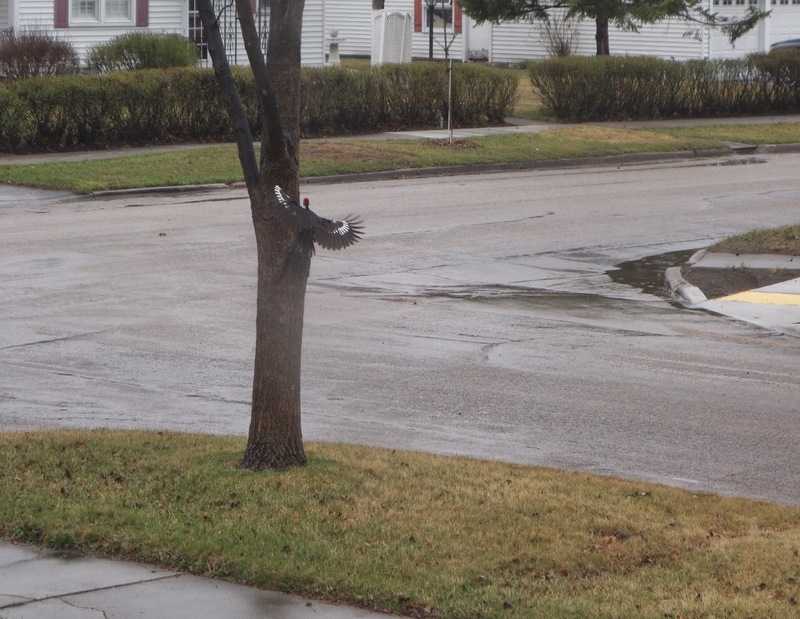 I've seen glimpses of Pileated Woodpeckers before, but usually from some distance and usually obscured by trees. This is by far the closest I've had a look at one, and definitely the longest amount of time I've been able to watch one. And to top it off, two of them at the same time. ...and alighted on the tree on the Northwest corner of the homestead, then flew off just moments later. Sadly Alycia was out of town and didn't get a chance to see this very cool bird. 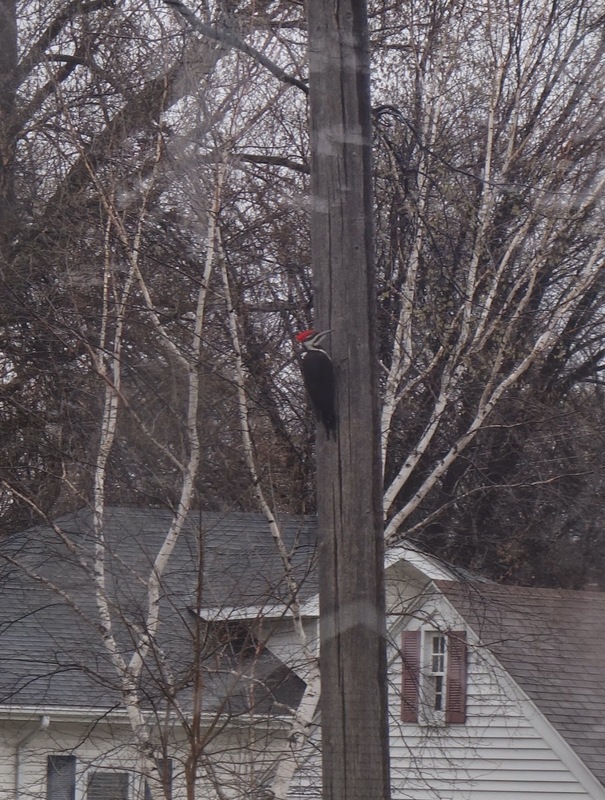 It's the first time we've seen a Pileated Woodpecker at the suet feeder in the front yard, I'm hoping that one of them will want to come back for a return visit.